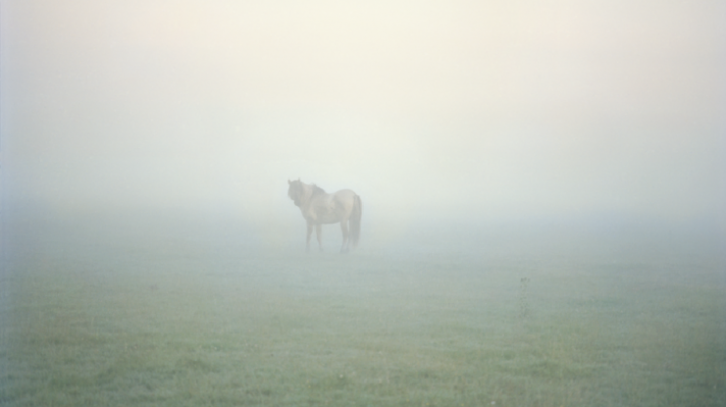 In Susannah Sayler and Edward Morris’s video installation Their World Is Not Our World, a photographer and her smitten assistant document the Oostvaardersplassen, a fantastical manmade “wilderness” about 20 miles from Amsterdam. In connecting with the animals that make this nature reserve their home, the artists blur the boundaries between control and freedom, highlighting the human desire for connection even to those different from us. Susannah Sayler and Edward Morris also are creating three new images for our Park Pictures billboards, on view in the Ann and Jim Goodnight Museum Park in spring 2019, merging contemporary art with the “wilderness” at the NCMA. Organized by the North Carolina Museum of Art. This exhibition is made possible, in part, by the North Carolina Department of Natural and Cultural Resources; the North Carolina Museum of Art Foundation, Inc.; and the William R. Kenan Jr. Endowment for Educational Exhibitions. Research for this exhibition was made possible by Ann and Jim Goodnight/The Andrew W. Mellon Foundation Fund for Curatorial and Conservation Research and Travel.